Activision has begun a voluntary refund programme for customers who purchased Guitar Hero Live within the last two years. This has been instigated after the sudden closure of Guitar Hero TV, an online service that provided an entire library of tracks for the rhythm-action title. Players who purchased Guitar Hero Live between December 1, 2017 and January 1, 2019 can get a refund on their purchase, covering the base game and/or initial bundle purchased. A claim forms - which you can find right here - must be completed and filed before May 1, 2019. Proof of purchase, either a receipt of a credit card statement isn't necessary but will strongly be in favour of your claim, which must be verified by Activision before the refund is issued. 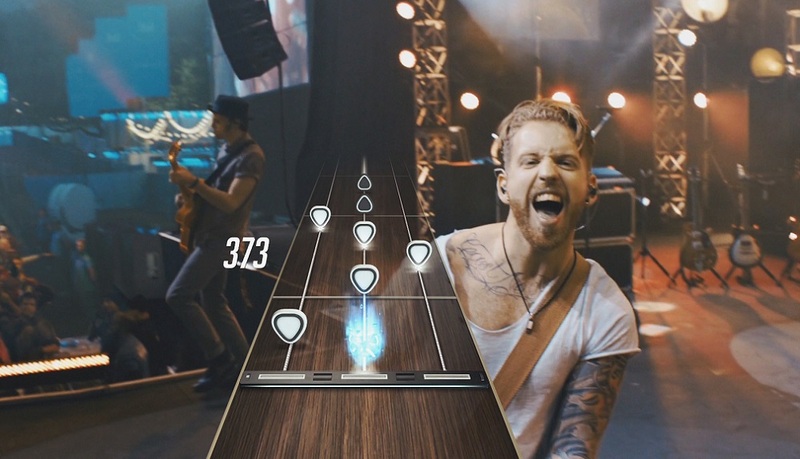 Guitar Hero Live, which originally launched in 2015, switched up the concept of the series by having players "play along" with an FMV band and audience which I, frankly, thought was a terrible idea. GHTV was a streaming service that provided a ton of licensed tracks, complete with music video, for players to jam along to. The closure of this service is a massive blow to Guitar Hero Live's appeal, hence the refund programme. This is actually a good call, and even given the closure of GHTV, I'm still genuinely surprised the publisher is offering refunds, considering the wealth of T&Cs we sign for today's games, most of which often boil down to "Buyer Beware" in this digital age of gaming.